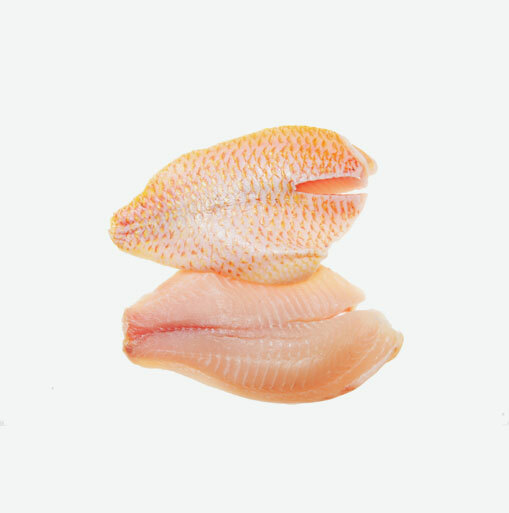 Pacific snapper is a firm, white-fleshed fish that can also have some red and pink skin. The demand for red snapper has been huge and there are now many “imposters” on the market: for example, “pacific red snapper” is actually not red snapper but red rockfish. Did you know that there are about 185 species of snapper worldwide, and all belong to the family of fish called Lutjanidae? Snapper is an excellent source of vitamin B12 and selenium. In addition, snapper is a good source of protein and vitamin B6, phosphorous, potassium and Omega-3 fatty acids. Studies have shown that the Omega-3 fatty acids found in snapper have many health benefits; they help prevent irregular heart rhythms, and also make your blood less likely to clot inside the arteries (which is the ultimate cause of most heart attacks and strokes). They improve the ratio of good cholesterol to bad cholesterol. And finally, by reducing inflammation, these essential fatty acids play a role in preventing cholesterol from clogging arteries. When purchasing fresh snapper, make sure the whole fish is displayed buried in ice and the fillets are displayed on top of the ice. The flesh of the snapper fillets should gleam and have minimal gaping. Smell is a good indicator of freshness; avoid fish that has a slightly “off” smell. When storing snapper, it is important to keep it cold, since fish is very sensitive to temperature. If the fish is going to be unrefrigerated for over an hour, keep a cooler in the car where you can place the snapper on ice to make sure it stays cold and does not spoil. When you unpack your fresh snapper at home, one of the easiest ways to keep it fresh until you cook it is to place the snapper in a baking dish filled with ice. The baking dish and fish should then be placed on the bottom shelf of the refrigerator (which is the coolest area). Replenish ice one or twice before cooking. Fresh fish should be consumed on the day of purchase. If placed in ice as in the above instructions, it can be cooked the very next day. You can extend the shelf life of snapper by freezing it. To do so, wrap it well in plastic and place it in the coldest part of the freezer where it will keep for about five days. Pacific snapper is a mild fish that can be prepared in many ways. Before baking, marinate snapper in freshly squeezed lemon or lime juice and a couple of tablespoons of honey or maple syrup. Add snapper to a pot of water and veggies including onions and garlic and make a wonderful fish chowder. Serve baked snapper over whole wheat pasta and top with your favourite tomato sauce. Dredge snapper in whole wheat bread crumbs and some herbs. Brush with olive oil and bake or broil. Serve baked or broiled snapper cold over a green salad, topped with your favourite dressing.